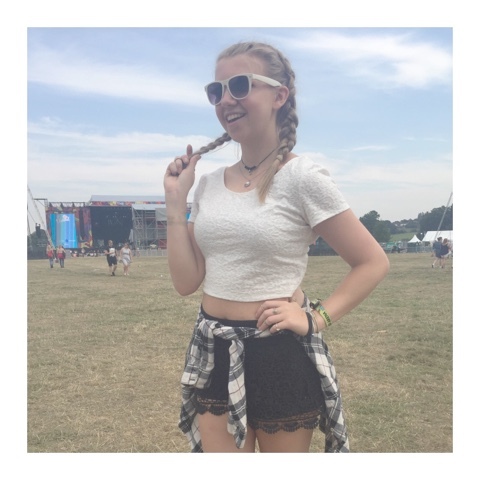 Outfit 1: Shorts and rings - Topshop, Top - Missguided, Shoes - Nike, Shirt - Forever 21. 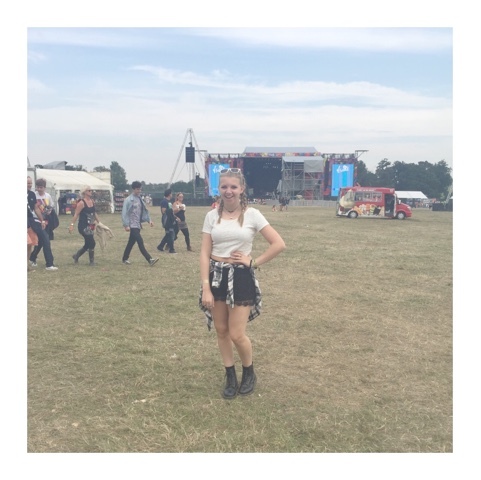 Outfit 2: Shorts and Rings - Topshop, Top - H&M, Shoes - Doc Martens, Shirt - Forever 21. So if you follow me on Instagram or snapchat (and if you don't, why not?) 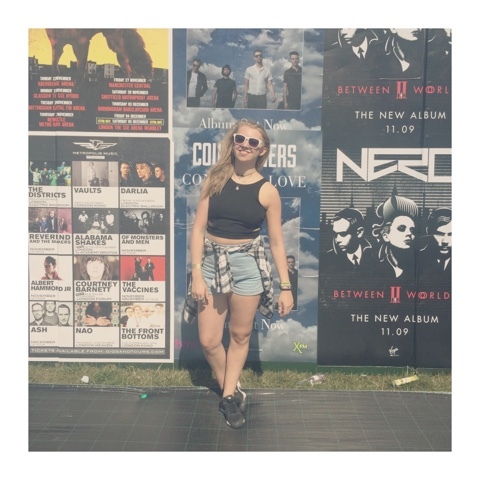 you will know, and probably be bored of hearing about, how I went to V Festival this past weekend. My cousins live not so far from Hylands park in Chelmsford so myself and my two friends, Emily and Becky, stayed there for the weekend - forever grateful for hot water, food and a good bed (even though my cousin did end up stealing my duvet..!) My favourite acts have to be The Script, Jess Glynne, Sam Smith and Mark Ronson's DJ set - they just got the crowd going and created some unforgettable moments. I always forget how much I love live music and how much I love the energy of a crowd dancing and singing along to songs, there is just nothing quite like it! As you can tell these photo's were taken on my phone (hence the white background - I'm kind of making that my new thing.) Shoutout to Becky for taking these outfit snaps for me. I was so excited and nervous to sort out my outfits, I wanted something that looked cool but also that covered the range of weather conditions that were forecast - boiling hot sun on Saturday and rain for Sunday. My Sunday outfit changed from what I planned but my DM's were such a great shout to wear as they protected my feet from the wet muddy ground. I had the best weekend, and I'm sure I will go on about it for ages, but post-festival blues has already set in. 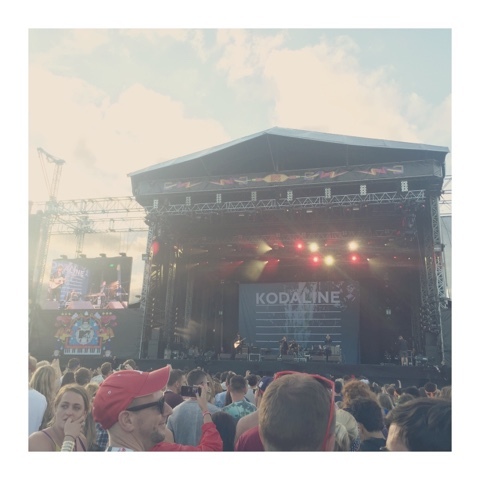 Now Playing // V Festival artists, obviously! Watching // I may have had a movie day yesterday and watched Step Up, Footloose and The Bling Ring - I definitely needed that time to recover! Festival outfits are hard to figure out! These look awesome though. Glad you had loads of fun! !